Patricia J. 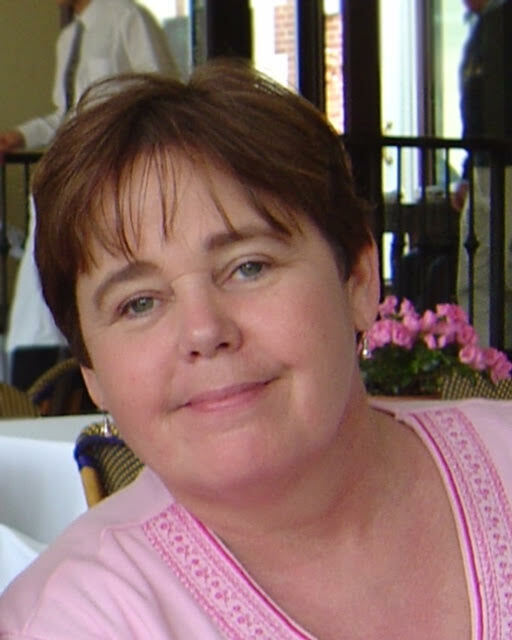 (Patty) Whelan, of Hudson, passed away on August 29, 2018 surrounded by her family, after a brave battle with cancer. Patty was born on September 22, 1954, in Boston, and was raised in Framingham before becoming a resident of Hudson. For over 30 years Patty vacationed on Frye Island, Maine, she was an avid bingo player and was a regular at Seven Hills Foundation in Worcester. She was the daughter of the late Thomas L. and Patricia J. (Goodwin) Whelan, and the sister of the late Marcia Garzia. Patty is survived by her loving sisters Kathleen Trierweiler and her husband James, Christine Whelan and her husband Ron Mastrangelo, Jean Russo, and Ann Fisher. She was the loving and much loved aunt to many nieces, nephews and their children, a good friend to many and a respected colleague. Relatives and friends are invited to a period of visitation from 4 p.m. until 7 p.m. on Saturday, September 8, 2018 at TIGHE HAMILTON REGIONAL FUNERAL HOME, 50 Central St., Hudson, Ma. Burial will be private at a later time. For many years Patty’s “best friend” was her dear Isabel, so In lieu of flowers, please consider a donation to Buddy Dog Humane Society, Inc., 151 Boston Post Road, Sudbury, MA, 01776, www.buddydoghs.com.